This dress/bodice book is the second in the series of design books to help you further extend and maximise the capabilities for your SFD kits. 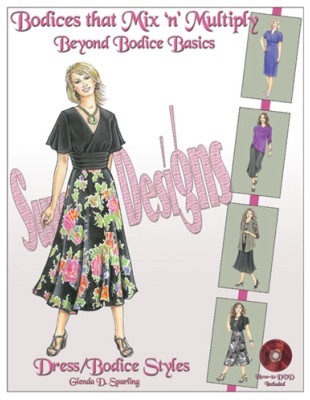 This book is to be used in conjunction with the SFD Dress Kit which is purchased separately. You can also purchase the Beyond Bodice Basics Book and DVD in combo packages found in the Discounted Combos section of the store.